Huge traffic jams, rising cost of property and increasing pollution is making living in Gurgaon tougher day by day. Even if you are living and working in Gurgaon, you still won’t be able to manage work-life balance because of increasing chaos in the city. If you adore peace, open sky view and want to drive on wide open roads then there is a place for you just a few kilometers away from Gurgaon. Well connected with NCR, less polluted environment, large open spaces, and less expensive homes than Gurgaon with the presence of prominent health and educational facilities, this is Bhiwadi for you. In Gurgaon, it takes around an hour to reach from one place to another because of heavy traffic jam and insufficient infrastructure. Sky rising prices and shrinking open space is also adding fuel to the fire. On the other hand, one can easily reach office in an hour's time commuting from Bhiwadi to Gurgaon through NH8 because they are travelling on opposite side of the traffic. Saved time & energy due to reduced travel time & traffic hustle is assurance of more quality time with family and friends. While living in Bhiwadi, one can pursue their other interest and passion because they get more calm and relaxed life here. Open spaces and less pollution gives you favorable environment for outdoor games, follow fitness routine and you enjoy healthier lifestyle. Bhiwadi is just 40 KM away from millennium city Gurgaon connected through NH8, 70 Km away from New Delhi, 200 km from Jaipur, 90 km from Alwar and 60 Km from Faridabad. Indra Gandhi International Airport New Delhi is just 58Km far from Bhiwadi, and soon it will have its own green field airport. Nearest railway station is Pataudi Road (PRTD) Haryana just 19 km away. Bhiwadi is rapidly developing; well connected town and infrastructure growth in this region are high in future. Bhiwadi, gateway of Rajasthan is developing as the most promising place to live in Delhi NCR. Away from any furor and hurly-burly fuss, Bhiwadi is the place for people who love living life to the fullest. Ardently crafted homes, soulful functional masterpiece apartments, where you get well managed spaces, balconies for proper sunlight with lobbies and living room. Some of the biggest shopping Malls - V Square mall, Genesis mall, Aangan plaza, Central market, Capital Mall, BB Mall and Ganpati Plaza. Multiplexes like INOX, SRS, E4U, and Gold Cinema. International food joints - Dominos, McDonalds, Pind Balluchi, Haldiram, Pizza Hut, Bikanerwala etc. are setting their foot here. While in Gurgaon, reaching the malls and complexes can become a big task especially during the peak traffic hours; whereas in Bhiwadi, all the above mentioned malls and food joints are at an approachable distance due to less traffic. People not familiar with Bhiwadi are concerned about health and educational facilities but many prominent hospitals like Star Hospital, Bansal Child Hospital, Hari Ram Hospital (Fortis OPD), others are also in Bhiwadi. Schools for children like Delhi Public School, Starex School, St. Xavier School, Presidency the International School, Bal Bharti Public School, GD Goenka Public School are here and many upcoming schools are settling their branches. We all have witnessed pollution level in Delhi and Gurgaon for some time now. This has already started affecting Gurgaon resident’s lives & health. In current scenario living in Gurgaon can have impacts on your loved ones’ health & life. Children and senior citizen are most affected by pollution in the city. Large open green areas make Bhiwadi pollution free and a healthier place for your family. Residents' views on better air and water quality in Bhiwadi. Residents talking about cheaper homes in Bhiwadi than Gurgaon. Properties in Bhiwadi are very much affordable for middle class buyers, who are looking to upgrade to a better standard of living. One can easily find the same level of top notch facilities (swimming pool, gym, tennis and badminton courts etc.) in Bhiwadi for Rs 40 - 70 lakhs, for which they can end up paying more than Rs 1 crore in Gurgaon. House rent in Bhiwadi is also much lower than Gurgaon. Price range for a rented house in Bhiwadi is lower in comparison to Gurgaon. While rent for 2 BHK flat ranges between 22,000 to 30,000 INR in Gurgaon in a decent locality, same space can be acquired in 8,000 to 15,000 INR in Bhiwadi. Affordable mid segment buyers can get good options here to buy their first home. After getting its name in Delhi-Mumbai industrial corridor infrastructure development is also at its peak in Bhiwadi. An affordable price of property makes it very popular among buyers. With the low home loan interest rates and prices set to increase with the increasing development in Bhiwadi, the right time for the buyers to invest in Bhiwadi is now. Peaceful ambiance, less expensive homes than Delhi and Gurgaon, fast connectivity, presence of health and educational facilities and job opportunities makes Bhiwadi an attractive place to live. Thank you for enquiring, presently we have 3 ready to movein projects running in Bhiwadi.Plan a visit to see and experience the amenities created. For site visit and other assistance require about the project please contact Mr. Anurag-9001894827. Need a 1 or 2bhk semi or fully furnished for rent. Thank you for showing interest, we do not have 1 BHK in our projects(except Senior Living). Further our executive will contact you and assist further. We do not have 1 BHK in our comfort homes in Bhiwadi. Our sales officer would get in touch with you and understand your budget and requirement. I need 2 BHK full furniture flat for rent.. Yes we do have 2 lifts each block in Ashiana Anmol. 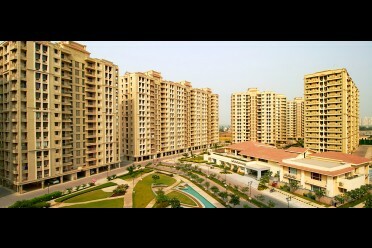 We do have properties available on rent in Bhiwadi, which is at a distance of 45Km from Rajiv Chowk, Gurgaon. we do have property starting from Rs. 26 Lacs in Bhiwadi.